Fine Gael’s Brendan Griffin has been elected in Kerry South after count five. Councillor Brendan Griffin says he and his running mate are ideally situated to maximise Fine Gael votes in Kerry South because of where they live in the constituency. The Keel Castlemaine native and sitting TD Tom Sheahan who’s from Rathmore will stand for Fine Gael for Kerry South at the next general election. They were unanimously selected at the party convention held in Killlarney last night, after the other two candidates Councillors Patrick O’Connor Scarteen and PJ Donovan withdrew their names from the contest. Deputy Sheahan was first elected to the Dáil in 2007, 18 years after Fine Gael last held a seat in the constituency. His running mate 28-year-old Brendan Griffin was first elected to the council two years. He’s looking forward to the race to the Dáil. Sitting TD Tom Sheahan and Councillor Brendan Griffin will stand for Fine Gael in Kerry South at the next General Election. At the party convention in Killarney last night, the two men were unanimously selected after the other two candidates Councillors PJ Donovan and Patrick O’Connor-Scarteen withdrew their names from the contest. 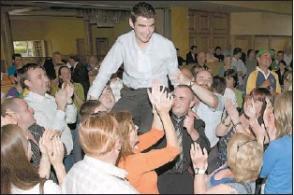 Limerick West TD Dan Neville chaired the meeting in the Killarney Heights Hotel which was attended by 500 people. Deputy Sheahan was elected to the Dáil in 2007 – eighteen years after Fine Gael last held a seat in the constituency. His running mate, Brendan Griffin, who’s 28-years-old, was first elected to the county council two years ago. BRENDAN Griffin of Fine Gael was the surprise poll topper in the first count from the Dingle electoral area, going on to claim one of three seats up for grabs in the constituency. 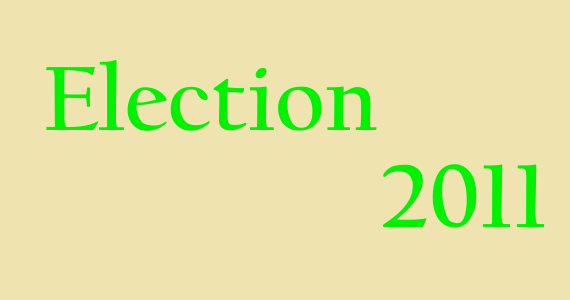 With 2,038 first preference votes, the Keel man was elected without reaching the quota on the fourth count, after the elimination of Independent Breannainn Ó Beaglaoí, Sinn Fein’s Teresa Rafter Moriarty and Green Darach Ó Murchú after the first count, as well as Labour’s Pat Hanafin (2nd count) and independent Bridget O’Connor (4th count). Despite topping the poll on first preference votes, Griffin was ultimately overtaken by runnung mate Seamus Cosaí Fitzgerald and Fianna Fáil’s Michael O’Shea, who were elected on the fourth count on 2,442 and 2,517 votes respectively. The Keel man said he was thrilled with his success at the second time of asking. “I ran in 2004 and it was close back then but I’m delighted with how things have gone this time. It’s a culmination of eight years of hard work and I’m now looking forward to representing the people of West Kerry,” he said. Griffin, who worked as Jimmy Deenihan’s parliamentary assistant for three years, said he was thrilled with his first preference vote and paid tribute to the high calibre of candidates now making up the new council. Camp’s Bridget O’Connor was bitterly dissapointed not to have been elected, but said she was pleased with her first prefernce vote of 1,179. “I’m very happy with my own vote but feel that since the boundary changes were introduced it was impossible to break in there,” she said.